On March 23, 2013, at 6:00pm, there will the brightest 5k I’ve ever seen in Houston. It’s like the Color in Motion Run, but at night time and with neon paint! The good folks from the Neon Splash Dash tell me it’s the wildest & brightest night time running event around! You’ll run (or dance!) through different Glow Zones, where you will be sprayed with a different color of our Super Intense U.V. Glow Water. They’ll also be blasting pumped up music at each Zone to keep the energy going! 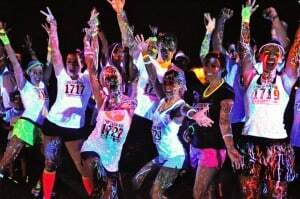 As you cross the finish line, you’ll be lit up at the HUGE After Glow Party filled with Jammin’ Music, tons of Blacklight, Performers and thousands of runners sprayed with Glow Water- all dancing the night away! Go HERE to register or to learn more. 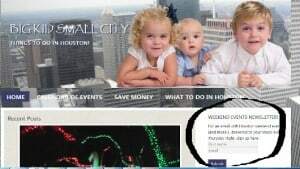 Registration is $50, but BigKidSmallCity is giving away a free entry to the Houston Race on March 23, 2013. 1. Go to FACEBOOK and “Like” us. On February 26, 2013 I will randomly select 1 winner using RANDOM.com. Leaving a post so I can win — I hope! How fast do you think I can run?